I work in an online printing company, one that uses y’know real people who actually spend time to look and correct technical issues. We see thousands of different logos each and every single day. While people in certain fields take logo design really seriously (graphic designers and architects for instance) it’s one of those things a lot of entrepreneurs in “unsexier” fields take for granted. Let’s be honest- when was the last time you saw a logo for an insurance company that really held your attention? • Help you sell whatever you’ve got to sell. And a lot of us have been doing it wrong. Despite what some graphic designers will tell you, Clipart does have its uses. I don’t know what those uses are, since I’ve never been desperate or lazy enough to use Clipart, but I’m sure there’s got to be something you could use it for. In any case, “lazy”, and “pathetic” are two ideas that immediately come to mind when we see logo designs with images that came bundled-in with your computer. “Imaginatively stunted” and “clueless” are other ideas you risk associating your brand with when you use clipart. Plus, this is such a common mistake, chances are people will have seen it somewhere else before – which does nothing to help you stand out. If you do stand out, it won’t be for the right reasons either. If Satan had a less mentally acute brother, he’d use Comic Sans. It’s an utterly stupid font choice for anything outside of comics- and it doesn’t even do that very well. Unless it’s a day care center we’re talking about, Comic Sans makes you look unprofessional and at the same time communicates naivete in the worst sort of way. The whole thing looks just like the title suggests – and communicates perfectly what you would hear in the album (which you should totally listen to). 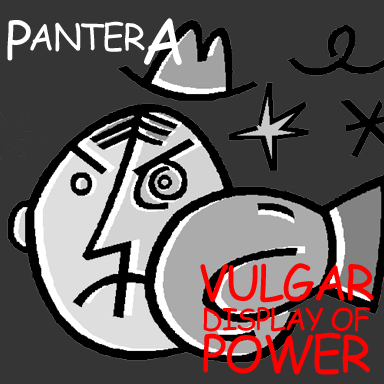 The font style Pantera used for their logo suggests aggression and a take no sh… prisoners attitude. 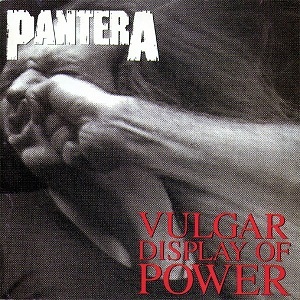 The album title font, while sort of cheesy in a 90s kind of way, counter-balances the cover adequately. Other equally hideous fonts that have seen widespread usage include MT Curlz and Papyrus. Treat them like the plague. If a graphic designer suggests them to you, I wouldn’t suggest you throw a Molotov cocktail at them. But if you did, well… y’know… they had it coming. 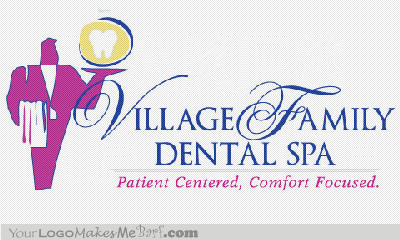 The logo should be easy to put on a business card or letterhead without much tweaking. If your logo design is still recognizable after being shrunk to fit a 1×1 inch square, you’ve done this part right. This means your logo cannot be just a picture. If you squint a little, maybe you’ll recognize which company that logo represents. More on that later. 4.) Not accounting for color issues. Colors can and probably should form part of your corporate identity. I’m not going to go into detail of how colors can affect things like appetite, mood, or trust, but you can probably see where that goes anyway. What many small businesses and entrepreneurs forget is that logos should be just as recognizable in black and white as they are in color. 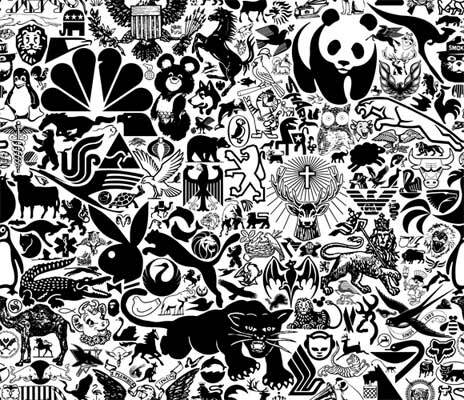 By: Karl Grandin through whats-wrong-with-the-zoo.de The iconic logos in the example are recognizable despite not having any color. This means if your design is overly dependent on specific colors in order to stand out, you should reconsider changing it so it remains distinct with a clear message. If your logo design requires a fancy effect or a gradient to stand out- forget it. We often make the confuse new ideas with good ones. When this happens to logos, they get irretrievably pegged to a certain era. Apple Inc.Back in the 70’s and 80’s, rainbows were a pretty prevalent theme. 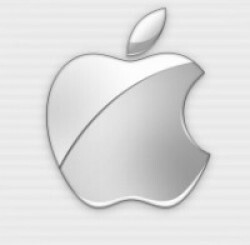 And this version of the Apple logo was pretty good for the time-and is still recognizable today. However, like bell bottom jeans and tie-dyed shirts, the rainbow color trend soon passed, and Apple found itself with a logo that suggested it was out of step – even though back then, the same elements suggested it was cutting edge. Apple Inc.Remember #3? Even Apple Inc, a company we all hate and love precisely because of their approach to marketing and design, was responsible for a logo that was not only ugly but did everything wrong. How the heck to you pin down good logo design then? It’s all subjective to a certain point. However, world-renowned industrial designer Dieter Rams has perhaps come closest to describing how good design should be. His 10 Principles of Good Design has been widely used by designers in a variety of fields, especially with regards to the manufacture and sale of consumer goods and services. Is all this fuss over logo design a bit silly? Perhaps. These are a lot of things to expect from a logo. Besides, how you actually run your company will count for so much more in the end. 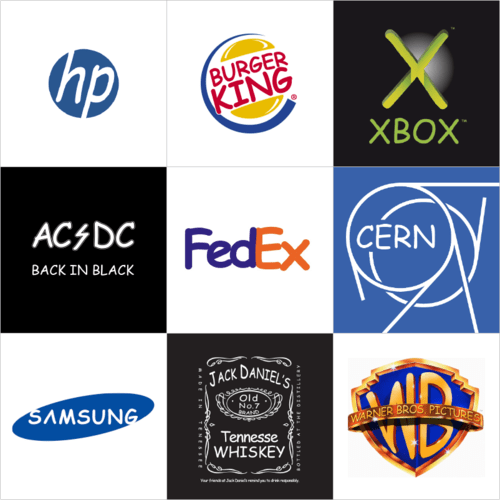 Plenty of hugely successful companies have ugly logos. But remember, a logo is a placeholder for an enterprise – it speaks for the business. Can you ever be too careful about what you say? The answer of course is NEVER.